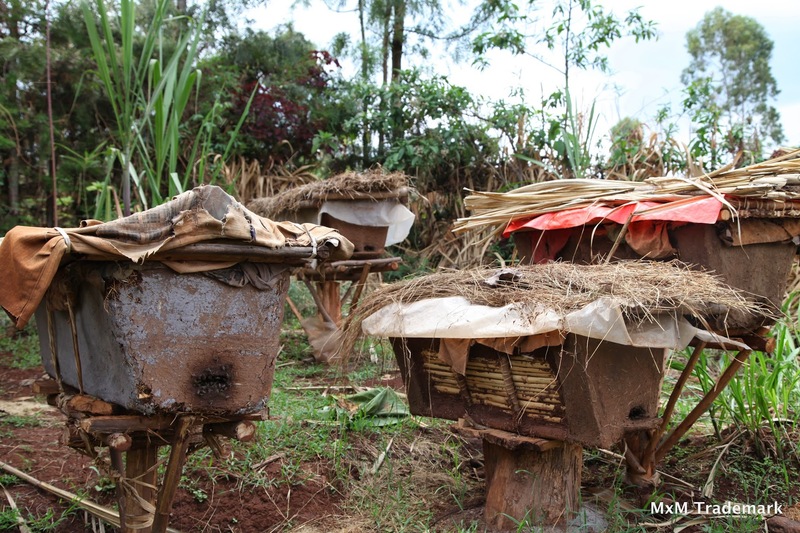 In Ambakuna Ethiopia, tucked between the flowering Eucalyptus, Acacia, mangos and avocado trees,the 70 beekeepers we trained in February and their newly established transitional top bar hives are showing promise. Liz Mcgovern, Corey Van Hove and the WEEMA Team recently visited with a few of our newly trained beekeepers and were impressed with what they they saw. Beekeepers seam to be picking up on the new technologies quickly and through the reproduction of hives on their own accord are showing faith in the transitional top bar bee hive´s potential. Though we won´t know the full capacity of the top bars honey production until the August and September honey harvest time, with our on the ground beekeeping staff and international team of support we will be sure to maximize their output. 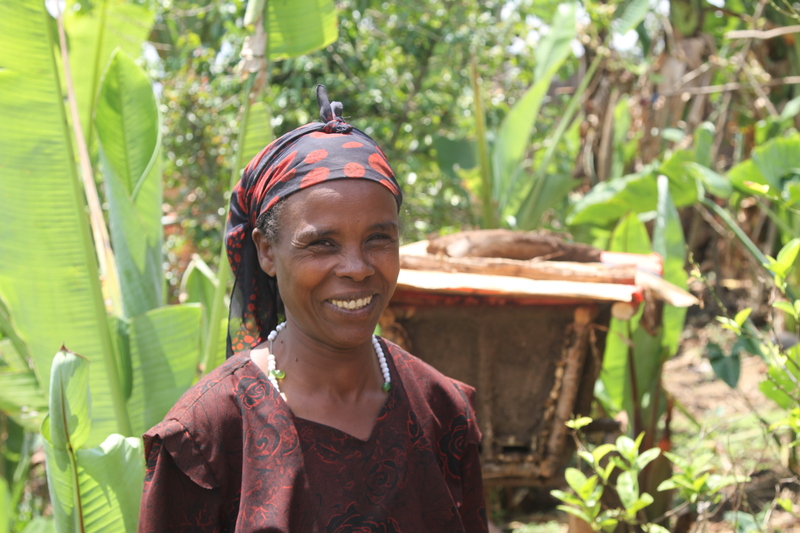 Bee Free Apiaries, WEEMA and our Ambakuna community beekeepers are all excited for the programs continued success. The guy largely responsible for the continued success of our Beekeeper Education Program in Ethiopia is Anito Alemu, better known by his community and the Bee Free Apiaries team as Tameskin. Aside from investing the time money and energy of our project into the 2 week long training programs, bee hives and beekeeping materials, we continue to invest in the follow through of the project through the hiring of Tameskin as our on the ground beekeeper support point man. Tameskin proudly stands next to his ready for placement swarm catcher hive. Trained as a skilled laborer and carpenter Tameskin not only assisted us in the fabrication of the hives but also in the translation of our entire curriculum into the local language of Tembarenya. 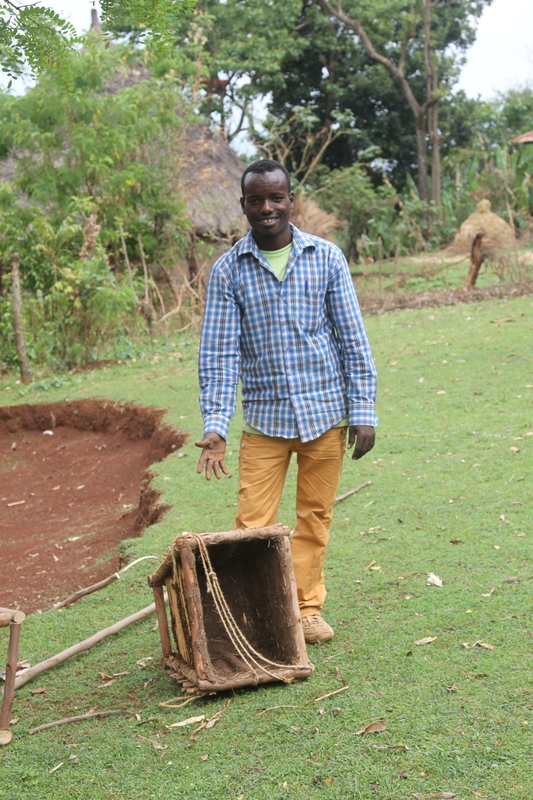 He never expected to build modernized hives and teach beekeeping skills to his fellow fellow community members but he did so well we asked him to spend the next 2 months following up with all trainees in order to assist them in the transferring and establishment of their new hives. Though his beekeeping experience up until our program was limited to assisting his established beekeeping father in times of the honey harvest where he held the light, started the smoker and helped move the heavy baskets, after already performing more than 50 hive transfers since our departure within his community, Tameskin is quickly building up his experience. 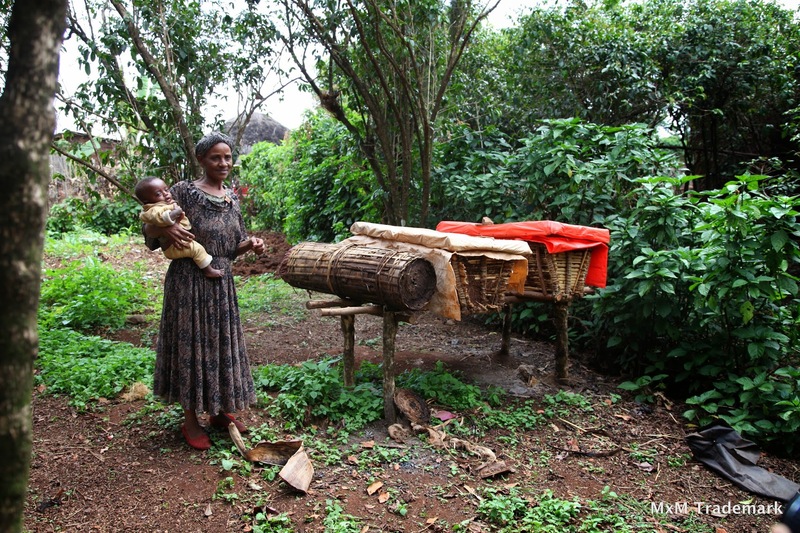 Tameskin translates as the first of our hive transfers take place back in February. The continued success of our program would not be possible without an on the ground community leader and program support staff member. 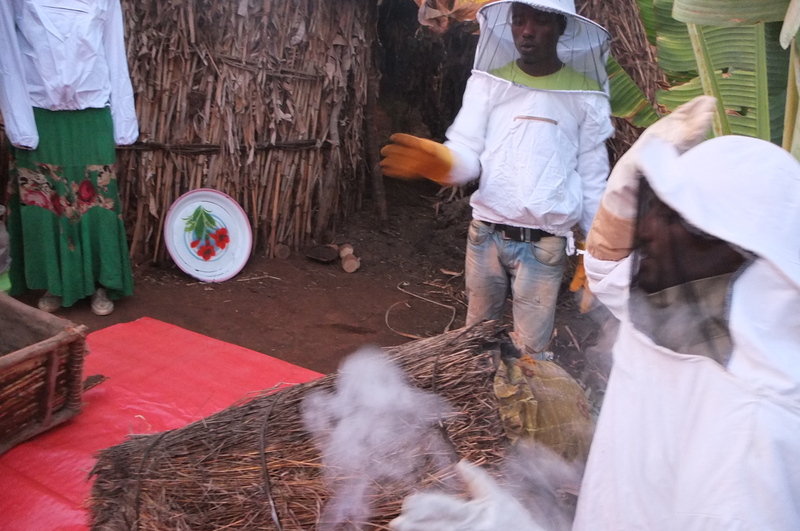 By training Tameskin in the skills of modern beekeeping, hive construction, bee management and transferring techniques the sustainability and growth of our program is positively moving forward.